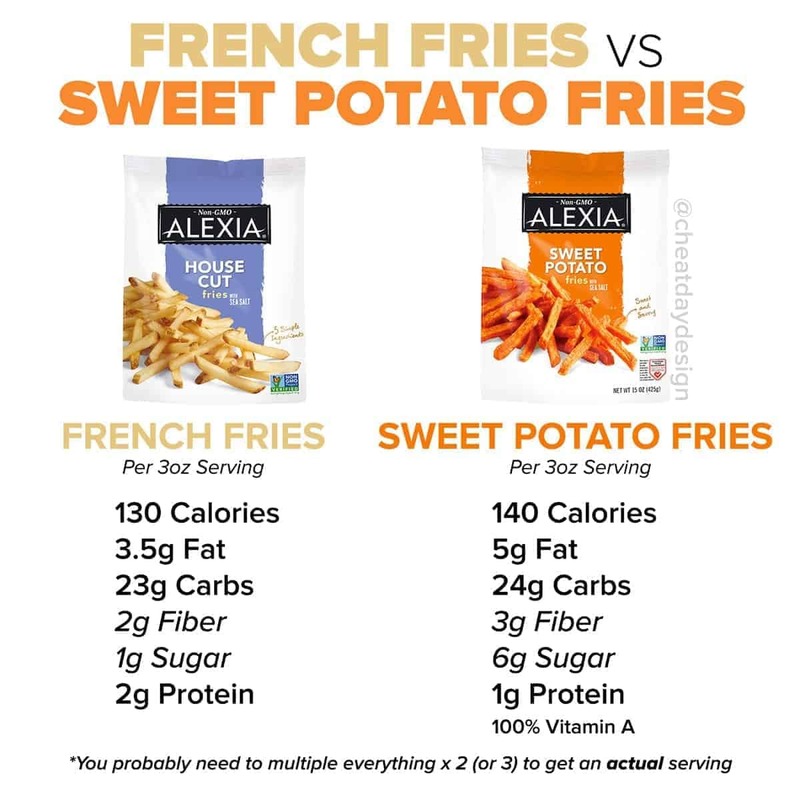 French Fries Or Sweet Potato Fries, Which is Healthier? The great debate: are you #teamfrenchfries or #teamsweetpotatofries? For me, it’s sweet potato fries all DAY! (Any New Girl fans here?) Potatoes get a really bad rap these days, mostly because they are very high in carbs and tend to not be super filling. I mean, you can eat 100 fries and not be full. 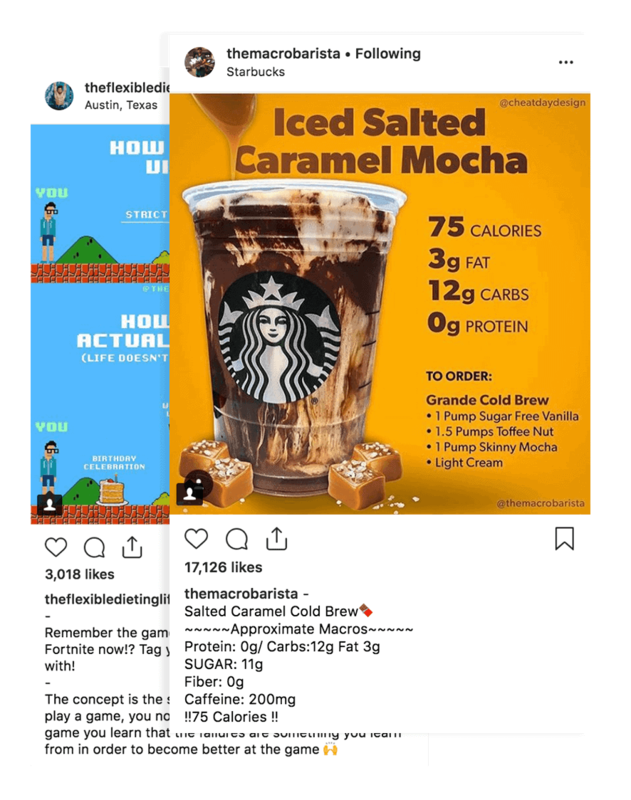 But are potatoes unhealthy? Absolutely not. I see a lot of people looking towards sweet potatoes in an effort to be healthier. Problem is, a large majority of people have no idea what actually makes sweet potatoes healthier. 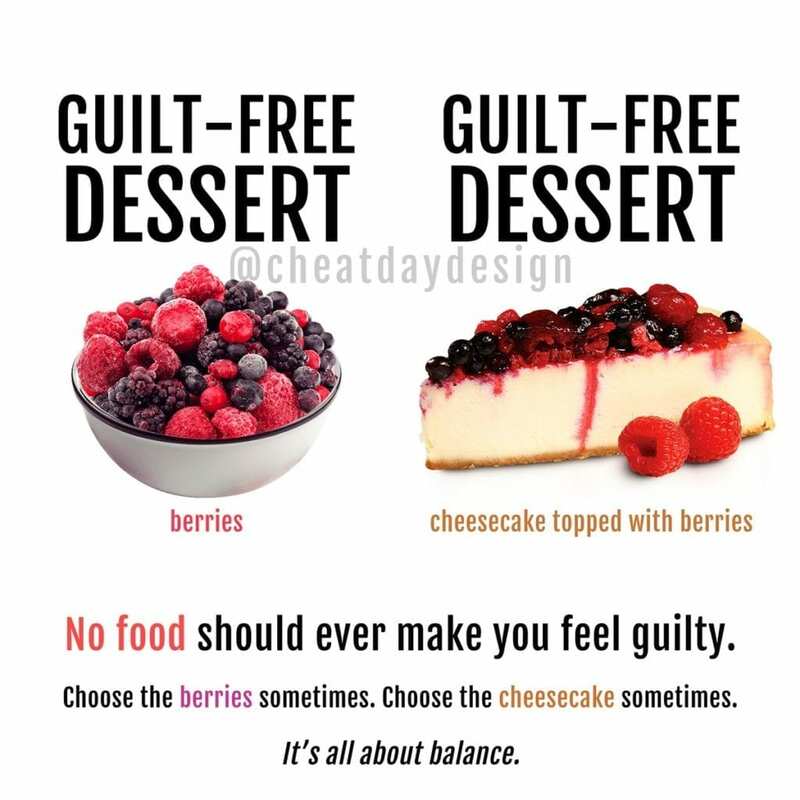 From a calorie and macro standpoint, they are very similar. 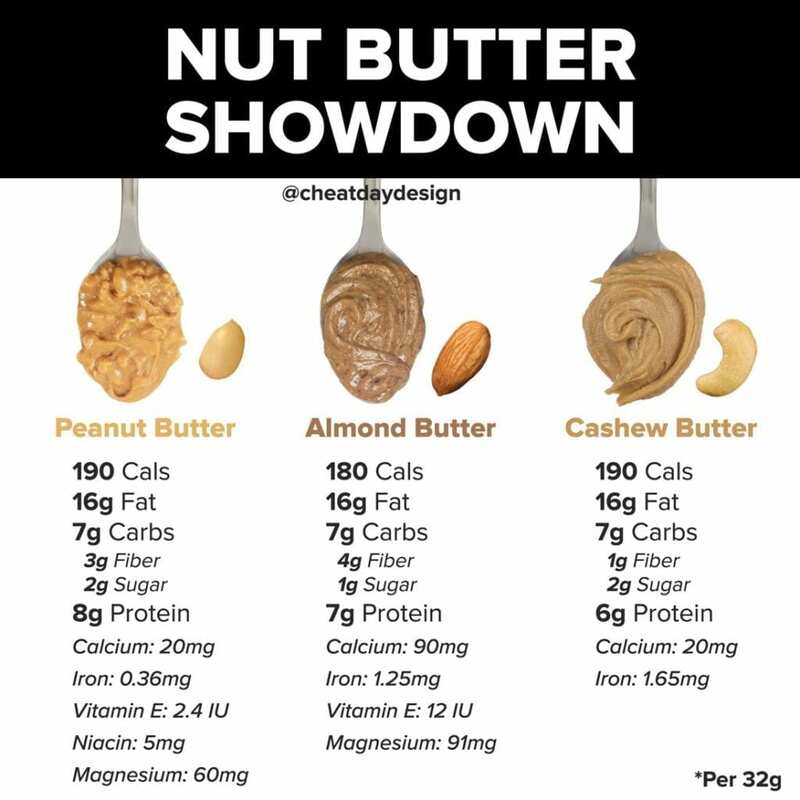 Looking at the comparisons above, an equal serving size is going to give you virtually identical macros, with the obvious standout being the sugar content (I mean, they are SWEET potatoes after all). The reason sweet potatoes are generally considered healthier is their micronutrient profiles: you can see here that these sweet potato fries are loaded with Vitamin A, but a regular sweet potato will also provide you with Vitamin A, Vitamin C, B6, along with some other vitamins in smaller quantities. But from a weight loss standpoint, sweet potatoes don’t hold much of an advantage. The takeaway: there is no reason to avoid regular ol’ potatoes in your diet. If you want fries, enjoy your fries! Granted, sweet potato fries are superior, but you shouldn’t just choose them because you heard they’re better for you. 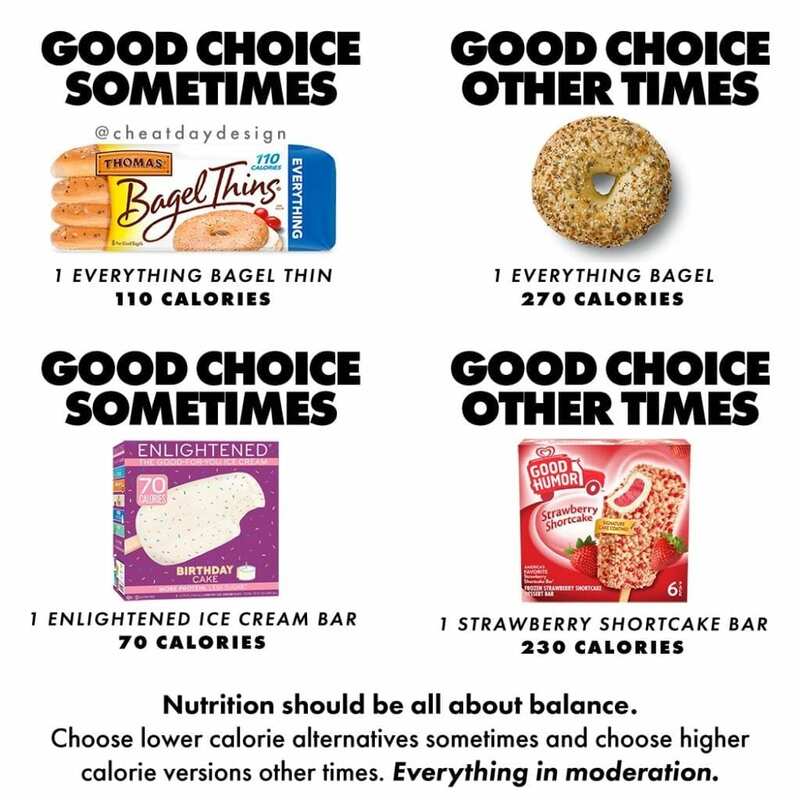 Just be careful with your serving size, because one serving can become 3 verrryyy quickly. 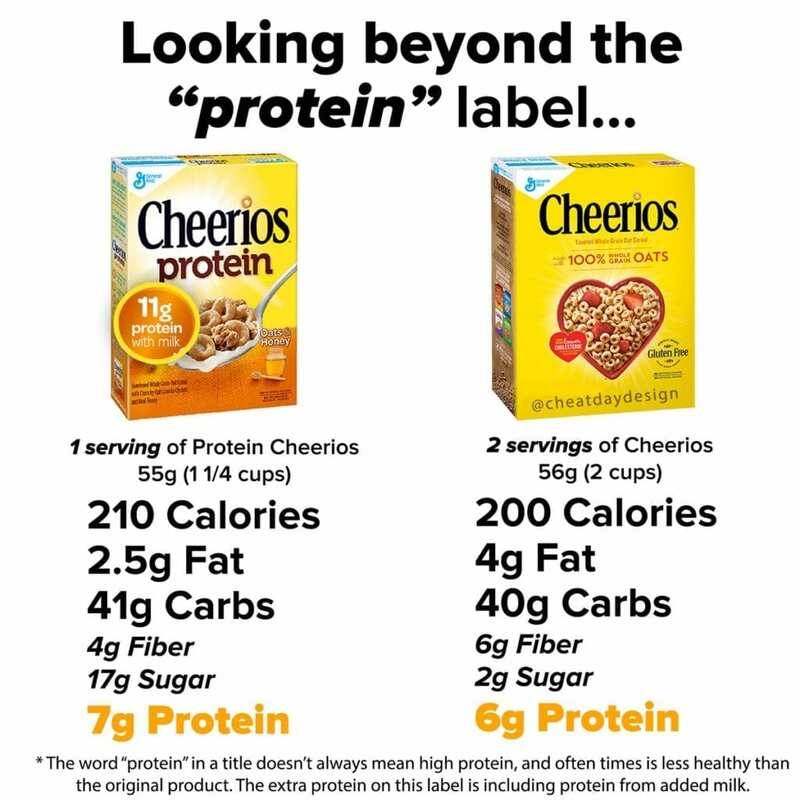 And a quick note: I chose to compare this particular brand because it is popular, but macros will obviously vary by brand!